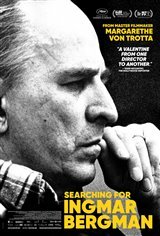 Internationally renowned director Margarethe von Trotta takes a closer look at famed Swedish director Ingmar Bergman's life and work. His film legacy is also discussed with Bergman's closest collaborators, both in front and behind the camera, as well as a new generation of filmmakers. The documentary presents key scenes, recurring themes in his films and his life, and journeys to the places at the center of Bergman's creative achievement and the focal points of his life such as the Royal Dramatic Theatre in Stockholm, locations and landscapes from his masterpieces, and the stations from his career in Sweden, France and Germany.